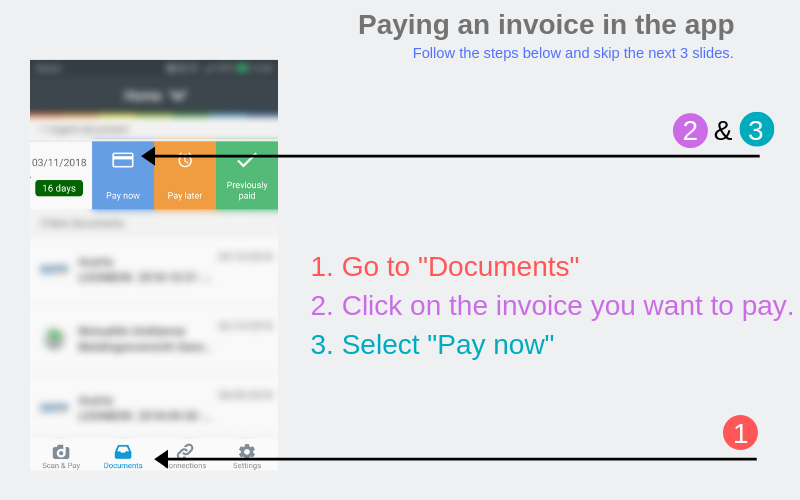 Pay your invoices with Doccle! 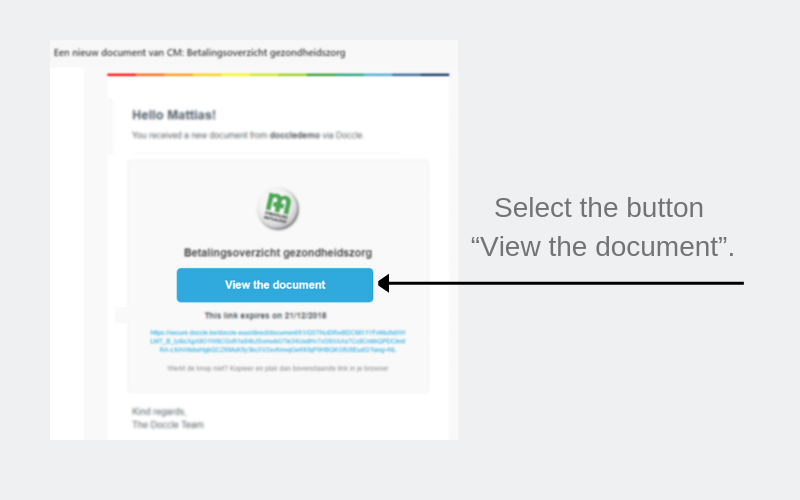 On Doccle, you can receive documents from various companies, but did you know you can also pay your invoices on this safe platform, as well as with the application? 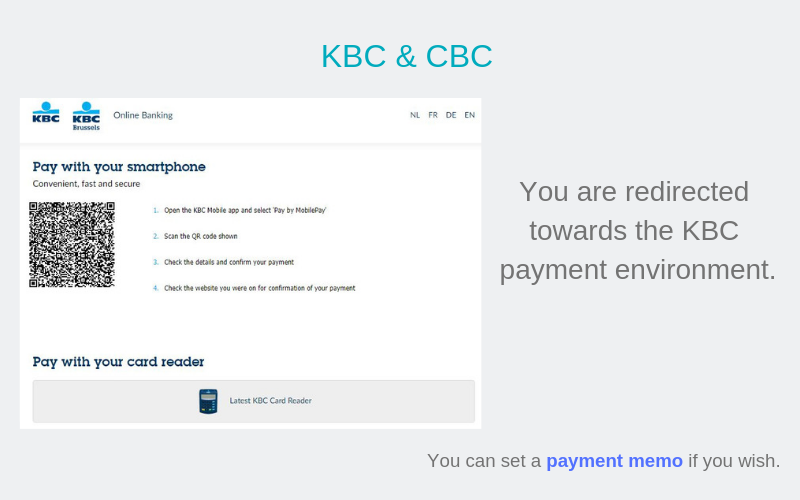 Find out more about the diverse payment methods below. Forgot your username? 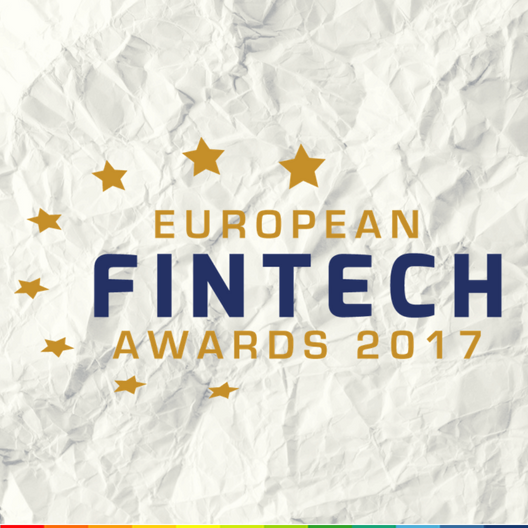 Click here to request it with your e-mail address. Forgot your password? Click here to request it with your username. 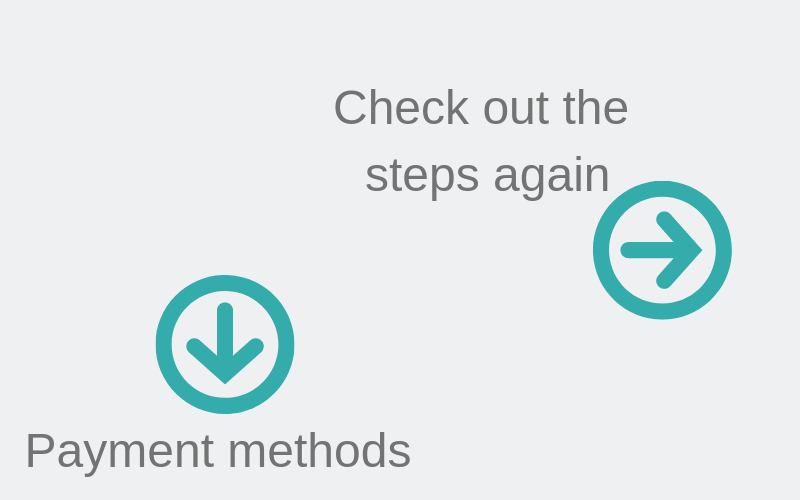 Find out more about these methods below. 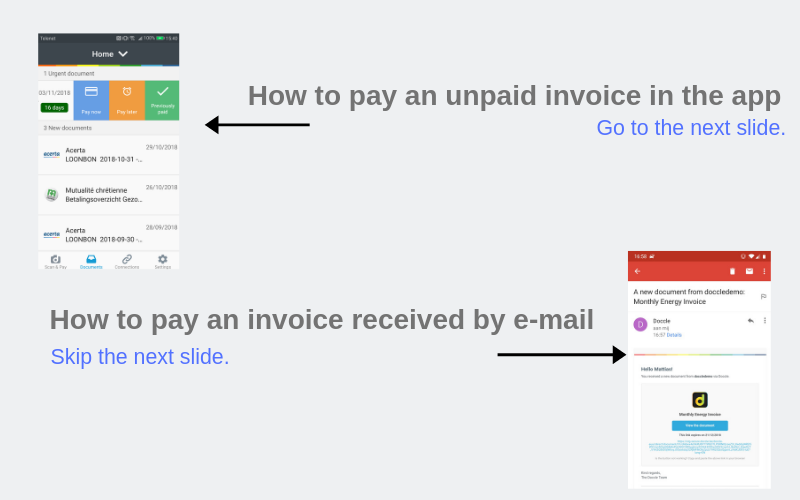 Did you receive an e-mail with an invoice on your smartphone or tablet? 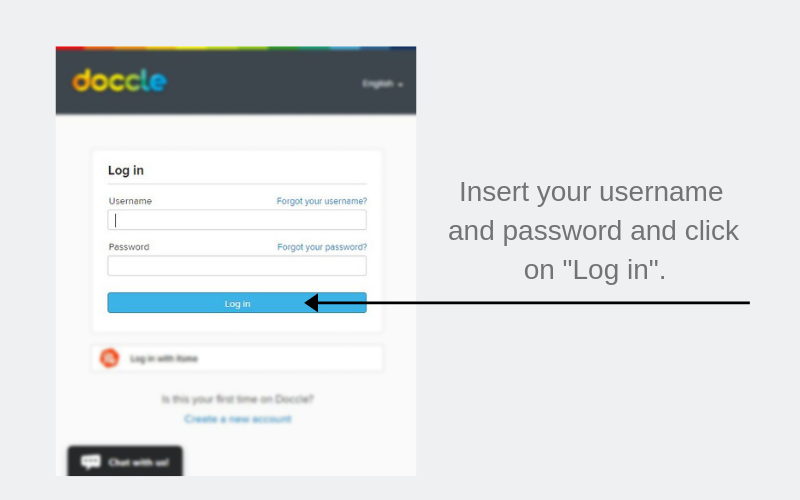 Are you loged in your account in the app and do you notice an unpaid invoice? 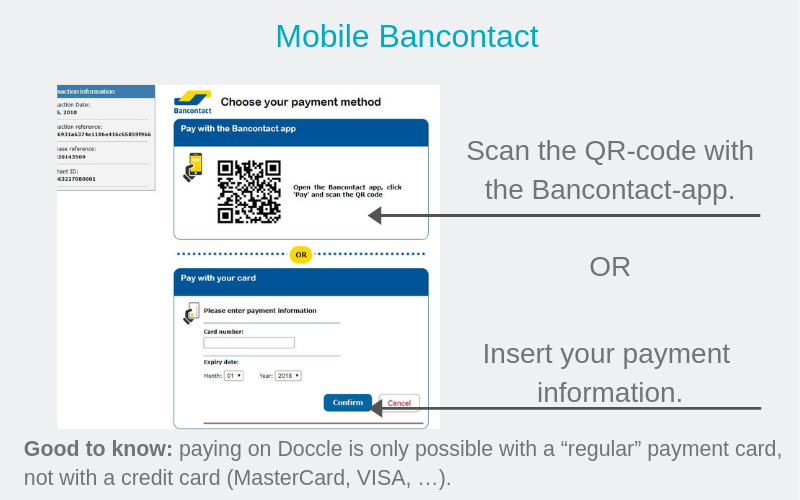 Follow the following steps to pay it with the Doccle mobile application. You don’t have the mobile application yet? Click here to install it. 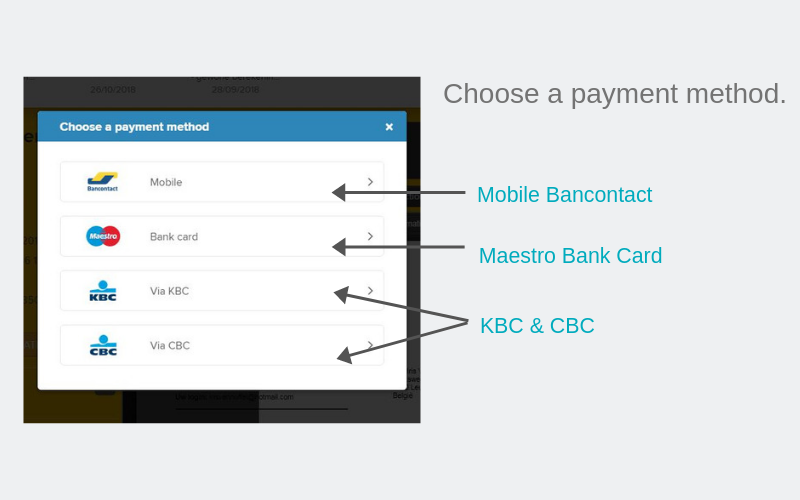 To be able to make these payments, do not forget to install your favourite payment application. 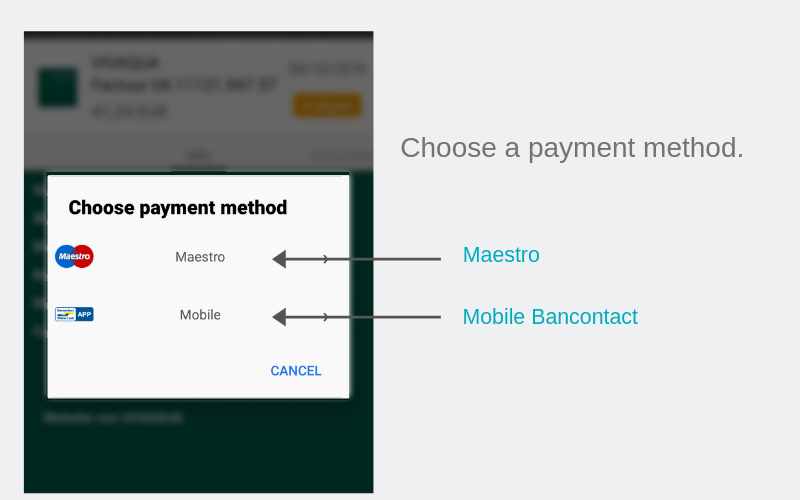 Find out more about these payment methods below. 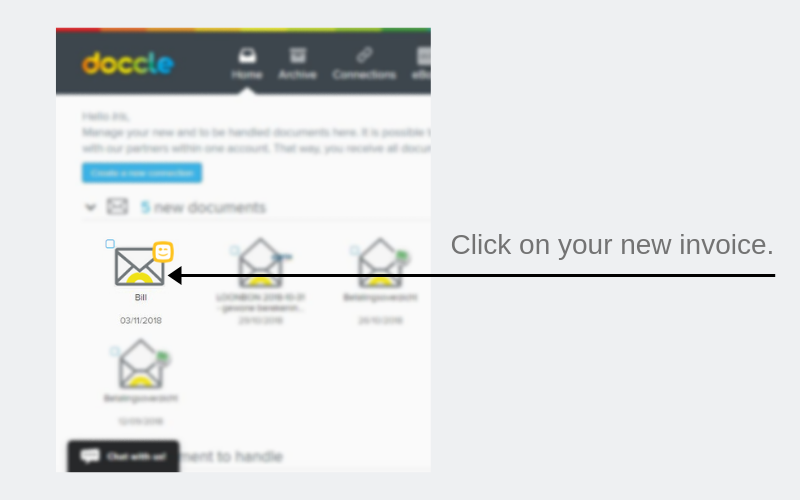 As soon as you paid the invoice, it will automatically be stored in your archive. This way, you avoid paying it twice. 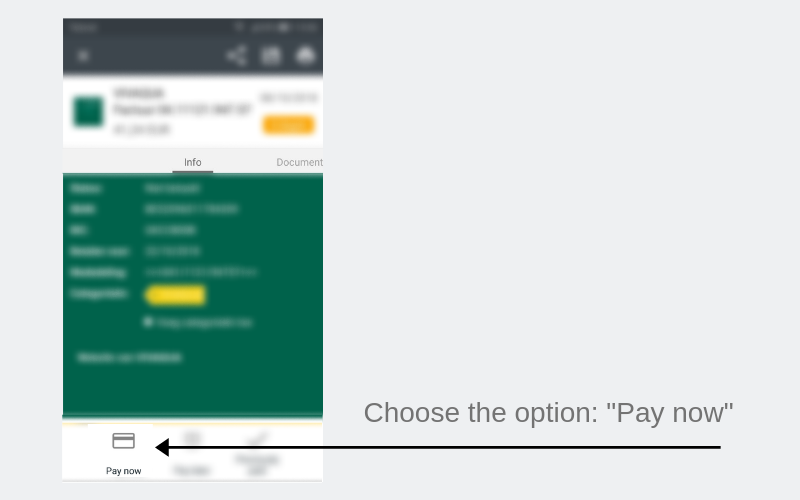 The invoice doesn’t have a “pay now” button. 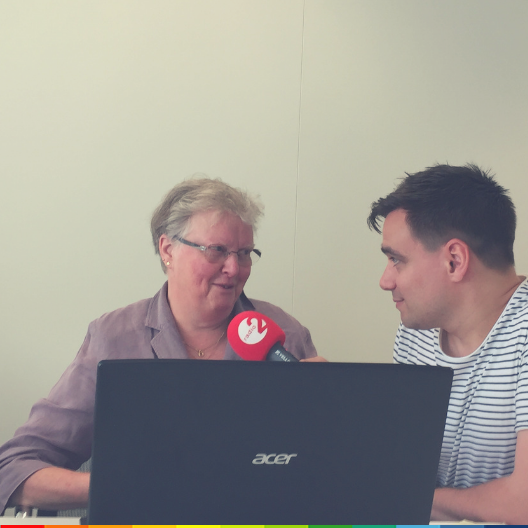 Once the payment due date has passed, your invoice will automatically be stored in your archive and it will not be possible to pay it with Doccle anymore. 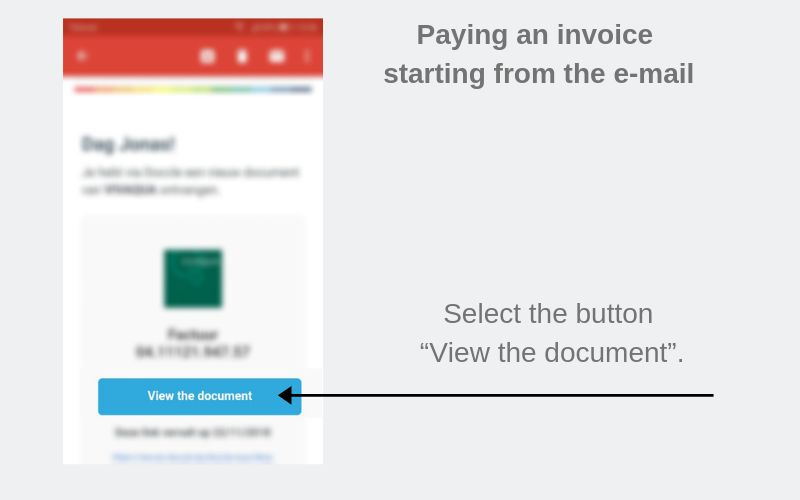 You can still pay the invoice with the payment information you will find at the left of the invoice. You will see the amount, the due date, IBAN, BIC and the message. The invoice has been paid another way. 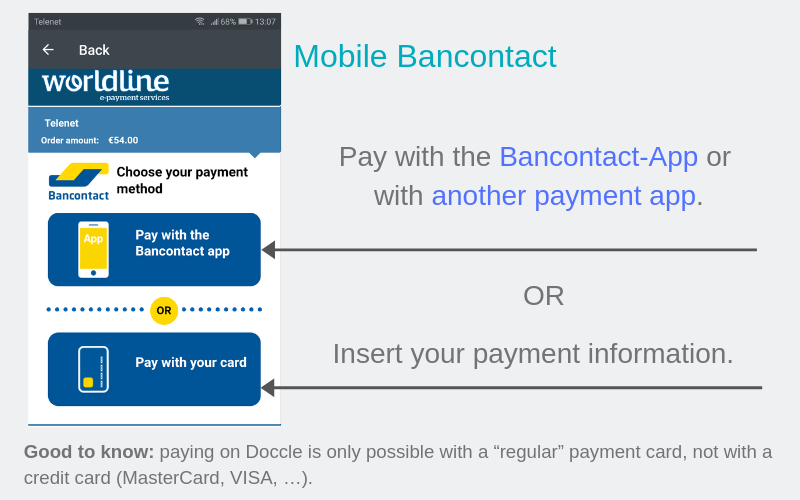 Did you already pay an invoice another way than with Doccle? Then it is best to give it the status “already paid”. 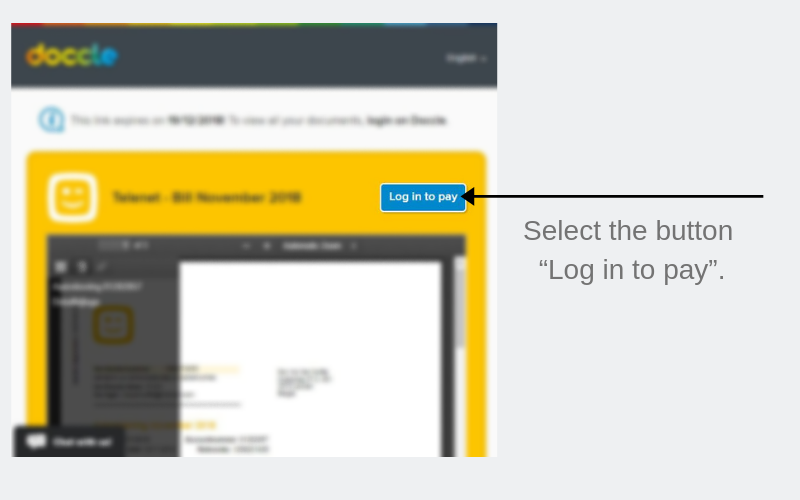 This way, your invoice will be archived and you will not get the (automatic) payment reminder. You are not sure if you paid your invoice? 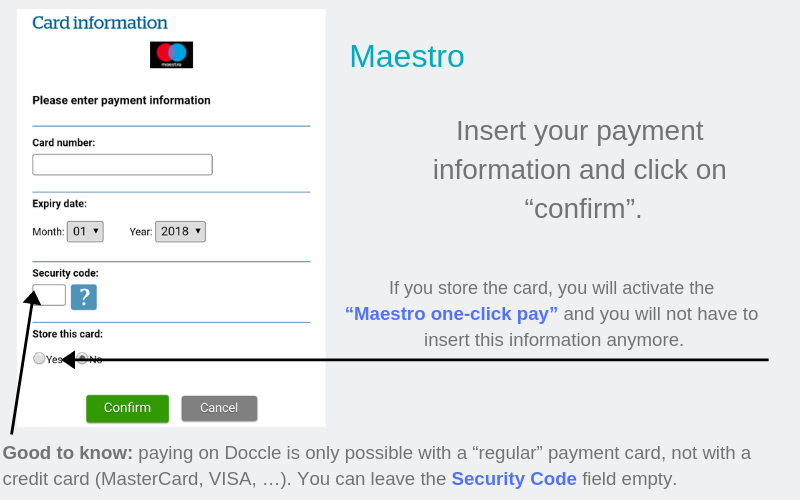 At Doccle, we can only see if you paid an invoice if you made the payment on our platform or with our application. 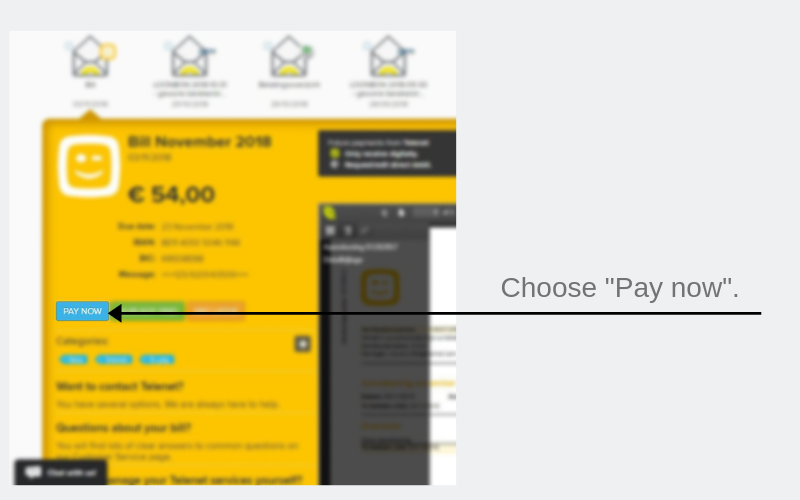 If you are not sure, you can find the payment status next to the invoice, on the left. 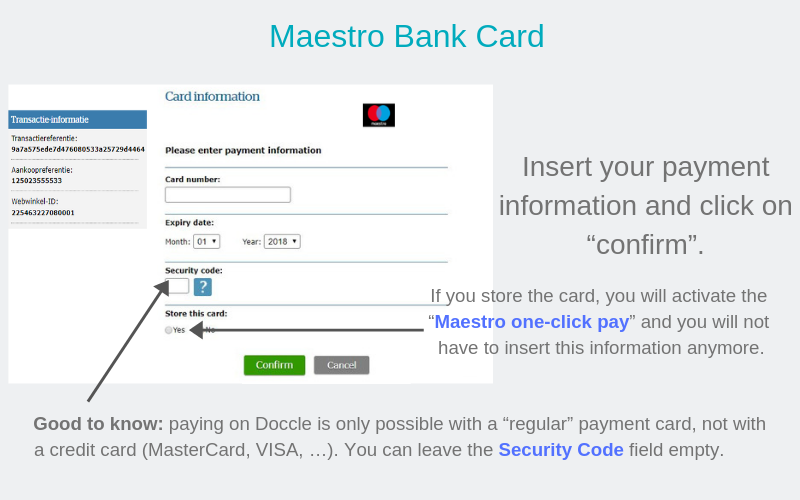 You will also see if the payment has been made with Doccle and if yes, the payment date. 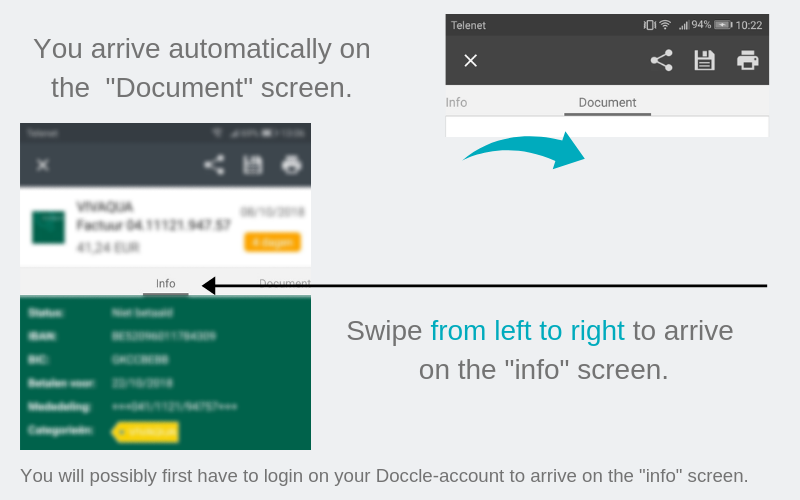 You don’t have a Doccle-account yet?